According to his website, Anthony Phillips has released a whopping 25 albums under his own name and six more in collaboration with other artists. But that is not all, for he has also played as a guest musician on other artist’s albums from 1975 to this day. Ant was not involved very deeply in this. He plays the acoustic guitar with Peter Sobel on Reaching Out. They stay in the background though they can be heard throughout the song. The focus of this beautiful piece is definitely on Annie Haslam’s vocals (from Renaissance) that are supported by members of the London Symphony Orchestra. The calm, quiet mood becomes livelier only near the end when the drums come in. 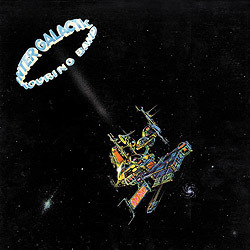 The album is very worthwhile buying and listening to anyway: Many well-known musicians play and/or sing on this concept album by the fictitious Intergalactic Touring Band, amongst them Meat Loaf, Ben E. King, Arthur Brown, Percy Jones, Rod Argent and Peter Gabriel’s ex-keyboarder Larry Fast. The music is not so serious at all, but well-done, varied and entertaining. Ant’s involvement in this album is larger. He plays on five of the eleven songs, mainly as a keyboarder, though he also plays the guitar on two pieces. Heroes (Ant: piano, organ) is one of the more sophisticated songs on the album, though it is rather weaker than previous or later Camel songs. Selva, slow and very atmospheric, is a typical Camel song. Andy Latimer plays one of his soulful solos on the electric guitar against a backdrop of synth chords. Ant’s classical guitar is overshadowed by this, of course. Sasquatch is probably the song that works best. Ant’s 12-string guitar forms the melodic and rhythmic foundation of a lively instrumental Camel like to play live. Manic is a failed fast prog song that does not really reach the listener despite (or because of?) the use of 2 ½ keyboarders (Ant: piano, polymoog, organ). End Peace is the last song on the album. Penned by Ant and Camel boss Andrew Latimer, this is no musical streak of genius, but it sounds well and offers Anthony Phillips an opportunity to show his skills (on piano, Polymoog, ARP 2600, marimba). The rest of the CD is only so-so, too, so the reviewer cannot really recommend getting this album. There are better guest performances by Ant and far better Camel albums. This rather obscure album clearly bears Anthony Phillips’s signature. Not only does he play many instruments (synthesizer, keyboards, acoustic and electric guitars, bass) but he also helped produce the record. Iva Twydell is the former drummer of British band After The Fire. They started out as a prog band, but became successful as a New Wave band. 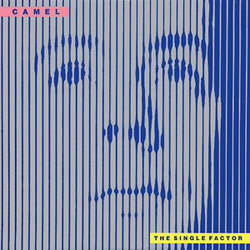 Their instrumental 1980-f is frequently used as a signature melody for radio and tv programmes. Twydell’s solo album is a rare thing today because it was released only by small labels in England and Canada. It is hardly surprising that it did not sell very well. Twydell is not really a singer, the compositions are mediocre and the sound of the album is thin and dated. 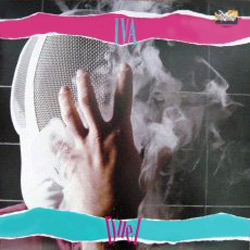 The record (the album has not been released on CD) can be compared with Invisible Men, the album Phillips would release a year later. Richard Scott programmed the drum computers for both albums, and the style is similar, too. The obvious difference is that Phillips’s album has better compositions and a superior production. If you are lucky to get the album for a good price you might want to buy it as a rarity for your collection. It is not really a great album. Open Secret resembles Slow Dance (Ant’s 1990 album). It is not really surprising that this guest performance is so close to one of Ant’s own albums because Ant helped not only produce and arrange the music but also played keyboards, acoustic and electric guitars, bass and mandocello. Open Secret and Slow Dance are not on the same level, though, perhaps because the songs were all written by Denis (a.k.a Asher a.k.a Asha) Quinn. They are nice songs, but weaker than the things Ant wrote. The guitar solos, played by Camel’s Andrew Latimer (!) are noteworthy, though. 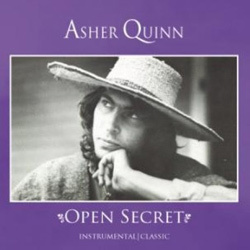 If you enjoyed Slow Dance you should go for Open Secret – that album has only recently been re-released with bonus tracks. It may seem a bit like a collection of Slow Dance outtakes, but because of the similar sounds and moods it could also be called Slow Dance Part II.